Filed to: Make America Android Again?Filed to: Make America Android Again? GOP presidential candidate and sack of rotting tangerines Donald Trump has called for a boycott of Apple products until the tech company obeys the government’s demands about unlocking a suspect’s phone. “Boycott Apple,” the pumpkin-themed businessman said at a rally in South Carolina. Trump’s boycott suggestion comes in the middle of a fight between Apple and the Department of Justice. Today, the DOJ filed a motion for a court order to compel Apple to help it unlock one of the San Bernardino shooter’s iPhone by creating a software to help the FBI brute-force the passcode. 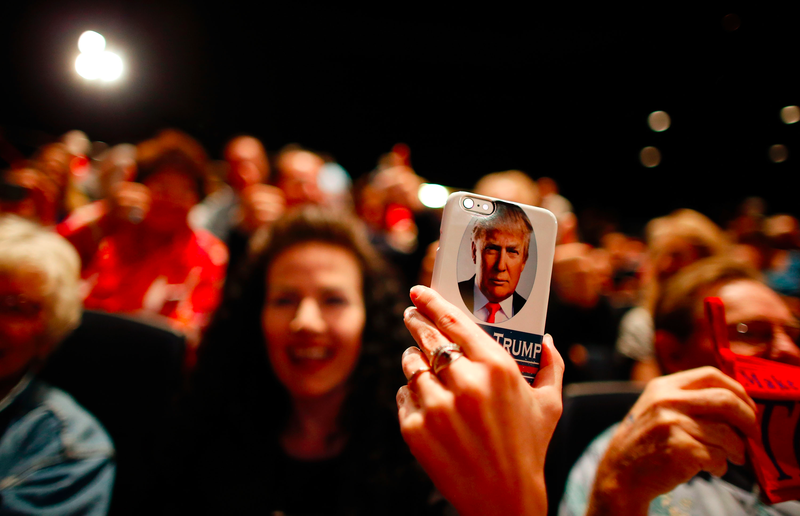 Trump uses an iPhone, so we’ll see if this boycott extends to his own electronic devices. This is not the first dumb suggestion Trump has had about Apple this election season—hey, remember when he suggested that he’d force Apple to manufacture inside the US even though a president can’t do that?—but it is, perhaps, even dumber? I’m losing my ability to discern when Trump says something idiotic and when Trump says something extremely idiotic. It’s all blurring together. I’m so cold.